With the Pikes Peak International Hill Climb kicking off this weekend, we here at TopSpeed are practically giddy at the thought of watching all those high-powered machines take on one of the most exciting, long-running, and flat-out challenging motorsports events in the U.S. Finding the win at the top of the world in Colorado takes just the right combination of elements, with a wide spread of entries taking up the challenge. This year, more than 50 individual racers will sprint to the peak, with both domestic and international representatives in attendance. But one of the most fascinating things about the PPIHC is the surprisingly diverse mixture of cars, which includes modern hybrid sports cars, all-electric spaceships, purpose-built track cars, and modified street cars. There’s even a freightliner, and believe it or not, it’s quick. 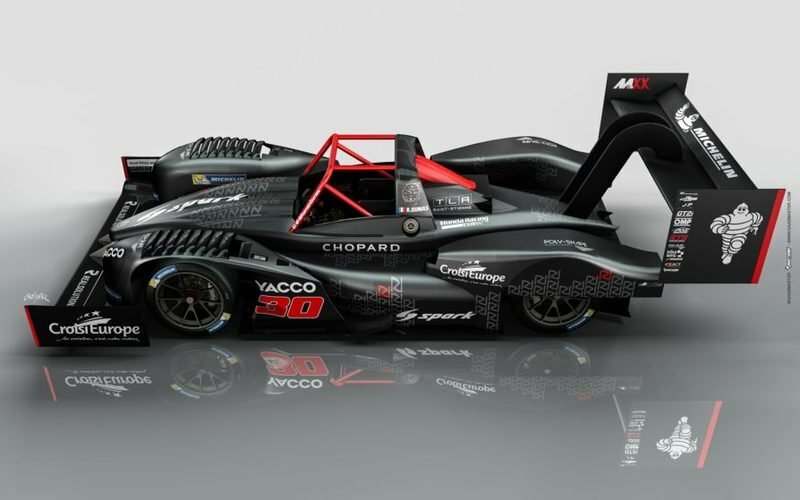 As such, we’ve outlined five cars to keep an eye on at Pikes Peak this year. Some are new, while others are old standbys for the event. Each, however, is very, very fast. But as always, we wanna know – which entry will you be rooting for? Let us know in the comments section below, and don’t forget to check out our additional PPIHC pre-event coverage here and here. Continue reading to learn more about Five Cars To Keep An Eye On At Pikes Peak This Year. Acura was in attendance at Pikes Peak last year, sending its electrified AWD flagship up the hill for an outright win in the Time Attack 2 Production Class. Now, the Japanese automaker is back and stepping into the Time Attack 1 Class. Once again, the NSX will provide the platform as Acura hunts for victory against roughly two dozen rival racers. That’s a considerably larger field than what Acura was up against last year, with just five other entries challenging for the win in Time Attack 2 in the 2016 event. As such, the NSX is gonna have its work cut out for it. Taking the wheel will be James Robinson out of Raymond, Ohio, who works with Honda’s R&D North American powertrain development group and drove the NSX last year. Inspired by GT3 touring racers, this year’s NSX was prepped with a lightened chassis, upgraded aerodynamics, and optimized tuning for the engine and Sport Hybrid system. In the corners are slick R-compound tires. All-electric competitors have gradually encroached on the ICE-based competition at the PPIHC over the last few years, with 2015 marking the first time an EV has claimed top honors at the event. This year though, the all-electric field has been whittled down a bit, and the only true blue four-wheeled battery-sucker in attendance is the FF91 from Faraday Future. Faraday is framing its run at Pikes Peak as “the ideal setting to further develop the electric propulsion system and supporting systems of FF91.” Specs on the four-door include over 1,000 horsepower sent to all four wheels, plus four-wheel steering and advanced torque vectoring. And since the high altitude won’t affect all-electric power, every pony should make it to the ground from start to finish (yes, I know less atmosphere will impact cooling, but it remains to be seen how big of an impact it will make on the FF91 platform). The FF91 is one of just two entries in the Exhibition class, with the Acura TLX of Nick Robinson challenging. Will Faraday bring the heat, or fizzle out? Without a doubt, the enormous slab of go you see here is one of the PPIHC’s most iconic entries. 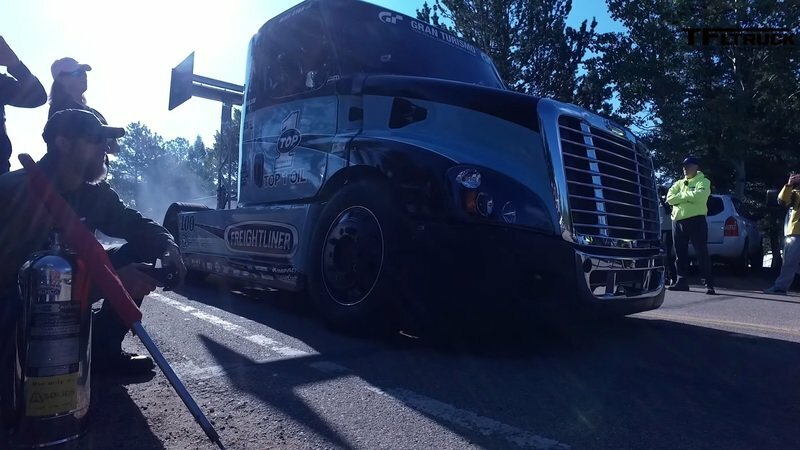 The numbers on this thing are simply ridiculous – roughly 2,400 horsepower is on tap to push the Freightliner’s 10,300 pounds to the top of Pikes Peak. Wanna read more? Check it out here. Updated: Unfortunately, Mike Ryan’s Freightliner did not compete this year. Hopefully we’ll see it at next year’s event! Rhys Millen is another regular at the Peak, taking overall victory in 2015 from behind the wheel of the Drive eO PP03 all-electric racer. Millen hails from a family of hot shoes, which includes uncle Steve Millen, an IMSA GTS competitor, father Rod Millen, a multitalented racer with countless wins in a variety of different series, and brother Ryan Millen, an American drift pro. Rhys is a drifter himself, with further experience in rallycross, which means he’s got the right skillset to tackle the daunting switchbacks of Pikes Peak. 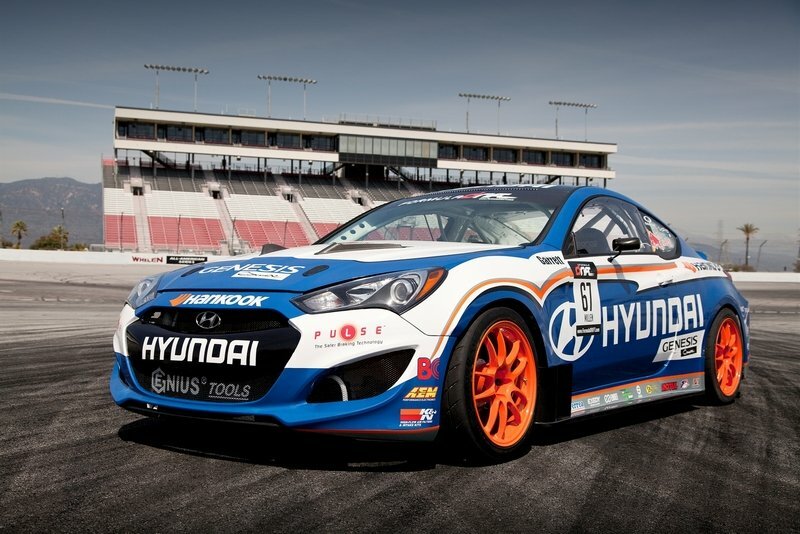 Rhys’ ride this year is a 2012 Hyundai Genesis Coupe, running in the Time Attack 1 Class. Rhys has run the South Korean muscle car there several times before, setting records and generally blitzing the competition. Look for a repeat this year. Romain Dumas clinched an overall win at the Peak last year, slinging his 2016 Norma M20 RD Limited to the top in a blistering 8:51.445, marking the second-fastest time in the history of the event and handing Norma its second overall PPIHC win. Now, Dumas is back and ready to rock in a brand-new Norma. Upgrades over last year’s ride include new aero (check out that front splitter – all 7.5 feet of it! ), a new AWD system, beefier carbon brakes, upgraded Michelin tires, and a new turbo and intercooler system for the high-strung 2.0-liter Honda engine. So far, things are looking good. “It’s faster, but also easier to drive,” Dumas adds. “It’s important to have confidence when driving at a place like Pikes Peak.” But the question remains – will that confidence translate into another win?